In an email, commissioner Mario Dion’s office confirmed that he has launched an "examination" under the Conflict of Interest Act because he believes the law may have been contravened in this case. 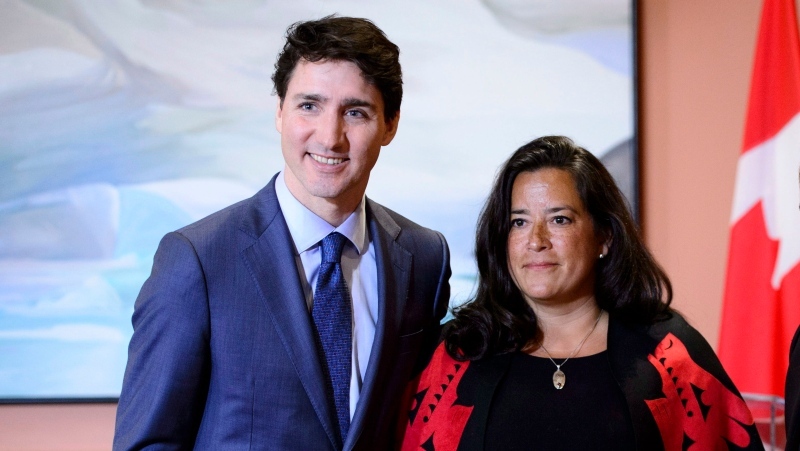 The Globe and Mail reported last week that the Prime Minister's Office tried to influence Wilson-Raybould -- who was also the federal attorney general at the time -- to ask prosecutors to make a deal to pursue a remediation agreement rather than a criminal prosecution in the corruption and fraud case against the Quebec-based engineering and construction company. Trudeau has flatly denied the allegations and current Justice Minister David Lametti said he has yet to see any evidence to merit a House of Commons Justice Committee study into the matter, another avenue of investigation that the opposition parties are also calling for. On Friday, Wilson-Raybould said as the former AG she is "bound by solicitor-client privilege in this matter." "We urge Mr. Trudeau’s team to stop trying to discredit Ms. Wilson-Raybould and to commit to fully cooperate with the Ethic Commissioner's investigation," said Cullen in the statement announcing the investigation was going ahead. The Justice Committee will be meeting in Ottawa on Wednesday afternoon to consider a motion that would call on Wilson-Raybould, Lametti, and several other high-profile government officials to testify. "The Liberal government should also support the work of the Justice Committee… Canadians deserve answers. This scandal goes to the heart of our democracy and the fairness of our legal system," Cullen said in the statement. The Conservatives have reached out directly to the five Liberal MPs who hold the majority on the House Justice Committee, saying they "must" support the motion for the study. This comes as another Liberal MP who is not on the committee, Wayne Long, has called for the committee to pursue the matter. He issued a statement saying "complete openness and transparency is the only way forward in situations like this." Facing questions about the Dion investigation after speaking to the Canadian Bar Association in Ottawa on Monday, Lametti citied the commissioner’s independence and said he had no comment. According to information about investigations on the commissioner's website, when a request is received that "was not found to be frivolous, vexatious or made in bad faith, he must immediately proceed with an examination." This will include allowing the public office holder in question to present the details of the situation from their side, and, if needed, summoning witnesses and compelling them to provide evidence.